Planning events for corporations is one of the most lucrative areas of event planning you can get into. The events you’ll plan can often be quite large and prestigious affairs. Whether a business is looking to plan a formal banquet or a small fundraiser, businesses will always look for the same qualities in any event planner they hire. How do you measure up? Businesses won’t be like your typical event planning client. With certain small-scale clients, you can get by with a Facebook page and some good word-of-mouth references. If you want a chance at being hired by a corporation, a professional website and a reputable brand is a MUST! 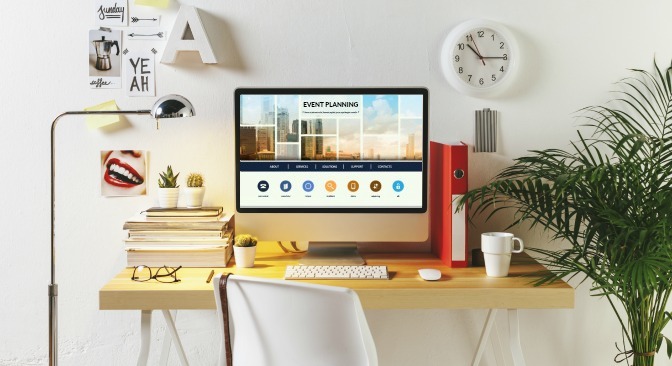 A professional, modern website: You need a website that portrays you not only as a qualified professional, but also as a company that’s big enough to take on the job. A strong social media presence: More and more businesses understand the importance of social media. You’ll want to be present on the larger platforms and be active on these sites! A working phone number & email address: When businesses are looking for vendors, they’ll be on a tight deadline and they’ll probably reach out to you AND your competitors. If you don’t answer the phone when it rings or answer emails promptly, you could lose out on a contract. Small and large businesses alike will care about your brand values. Whatever vendor or service they work with, they will want one that reflects the right ‘image.’ For example, you probably wouldn’t be hired for an animal rights fundraiser if your website features photos of couples enjoying foie gras at their wedding that you helped plan. You’ll also want to be careful about what you put out on your own private social media channels. We’ve talked about this before, but it’s even more important if you’re marketing to businesses. No corporation wants to be involved in any kind of a ‘scandal.’ They’ll take steps to fully vet you before signing a contract. If you tend to express any controversial opinions on your social media accounts, change your settings to “private” so that only your close friends can see them. Businesses are used to being overpriced for just about everything. That’s because many vendors treat their business clients like an endless bag of cash. The reality is, however, that a business will have a very strict budget for the event in question, and the person who hires you will be considered a hero if you come in under budget. In order to secure the best price, businesses will often start a bidding war between you and your competitors. You’ll want to be portrayed as the business that offers the best value (not necessarily the cheapest price). Knowing exactly what your competitors offer. If you’re not informed, then how can you compete? Offering service packages. If you can establish partnerships with other vendors, you can offer the business a package price that includes these vendor’s services (catering, DJ, etc.). This will save the business time, and those vendors should be able to offer a discount since they didn’t have to find the client themselves. Being prepared to answer questions. If your prices are higher than your competitors, you’ll need a good reason why that is. Without slagging off your competitors, you need to have answers to those hard questions. Be prepared to explain why your experience, education, partnerships, etc. makes you worth the extra cost. Your portfolio and your credentials will be crucial to winning a corporate event contract. 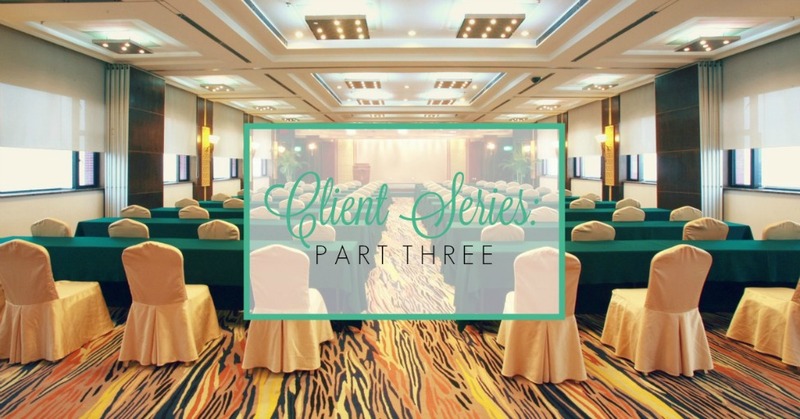 Businesses will want to see that you not only have planned similar events in the past, but also that you have the education to back up that experience. You’ll want to have a very modern and diverse portfolio on your website. Planning a few styled shoots is never a bad use of your time, especially when you want to go after more prestigious business clients. In terms of education, try to go for more than the basics. On top of your event planner certification, if you can take additional workshops of specialization classes, they’ll definitely be worth your time in the long run! If you have zero corporate event planning experience, consider teaming up with an experienced planner on one of their corporate contracts so that you can get the experience you lack. Businesses will appreciate that you’ve taken the time to get additional training and they’ll be more confident that you’re ready for the job! Don’t give up! Businesses have functions all the time and they’ll always need planners to help out. 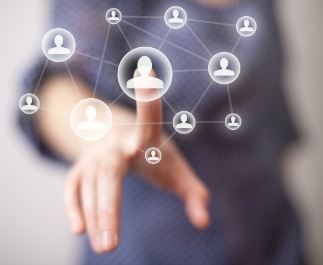 If you want to get into corporate event planning, networking will be your best friend. Find out who the key influencers and decision makers are, and get to know them in between contracts. Even if you don’t win a bid for a contract, that doesn’t mean you won’t win the next one. Making friends and acquaintances will help you when the time comes to pick a vendor. Are you interested in entering the world of corporate event planning? What attracts you the most about this specialization? Let us know in a comment!